Sunrise colours over Newcastle Baths. 60 x 20cm in size. 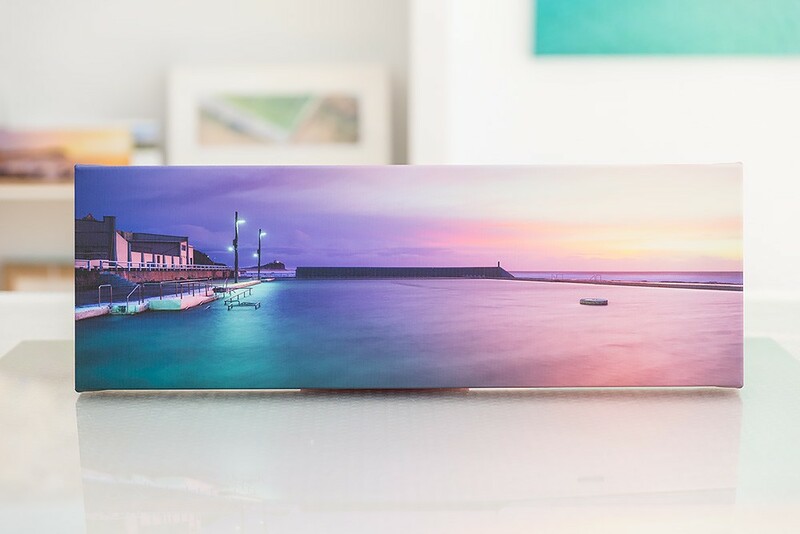 Printed on professional grade canvas. Heat seal laminated protective coating / UV guard. Stretched on thick canvas bar. This product is in stock and ready to ship today or tomorrow. We have next day delivery to Sydney and surrounding areas. Or if interstate we use Startrack who offer a quick professional delivery service. All shipping comes with online tracking and is fully insured.